There’s a reason we sell such extensive amounts of our liquor shelving. Not only is it of the highest quality, you also get a massive range of sizes, designs, colours. 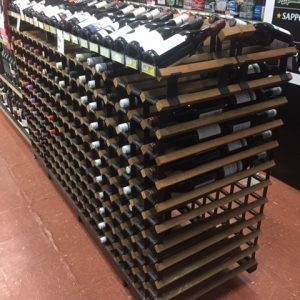 Increase sales and ensure return customers by creating a striking store design with our top-selling liquor store shelving. This shelving is used by both large retail chains and with independent retailers and is applauded for its durability, visual appeal and adaptability. 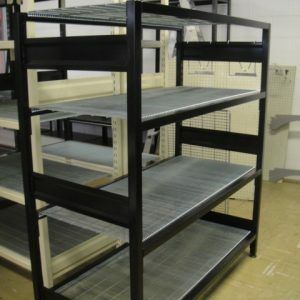 This shelving is a grade above what else is on the market and is offered at the most affordable prices. 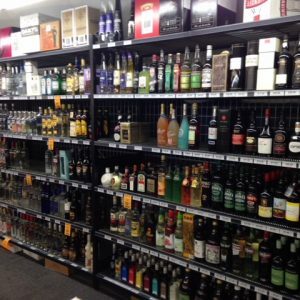 We pride ourselves on our ability to provide consistently high-quality inexpensive liquor shelving that suits an array of stores and can be adjusted to suit your specific needs. 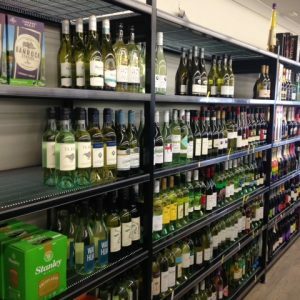 Whether you are in the market for brand new, or completely refurbished liquor shelving we are here to help! 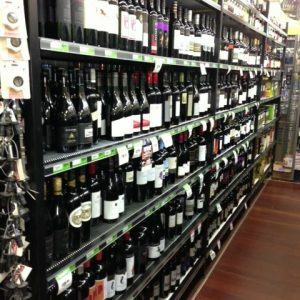 We carry a massive catalogue of liquor shelving to suit almost any possible product requirements. 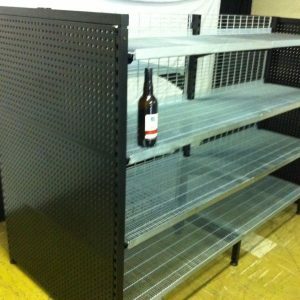 Whether you require Long Span Shelving, Heavy Duty Shelving or Low Profile liquor shelving we have an option for you. Our expert staff are here to help you design, build and create your liquor shelving ideas. 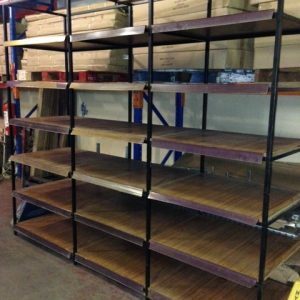 We have the option to do custom-made shelving and are always happy to discuss what shelving will be the best for you and your budget. 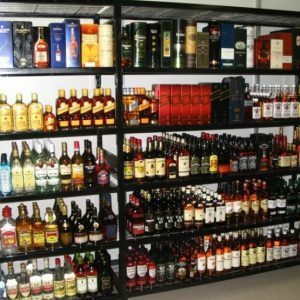 Contact us to Order Your Liquor Shelving Today! It’s never too early or too late to give your store a fresh face and increase sales. 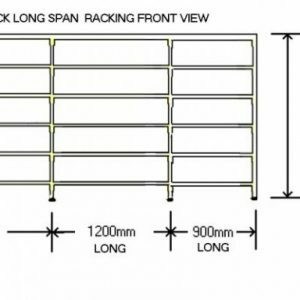 We are here to make buying your shelving a simple and satisfactory experience, and we ensure you will get nothing but the best. 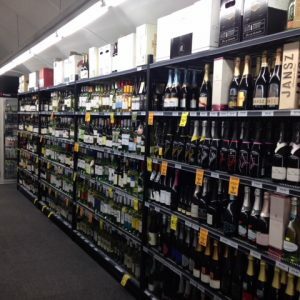 Contact us on (03) 9548 5446 and let us help you with your Liquor shelving today!